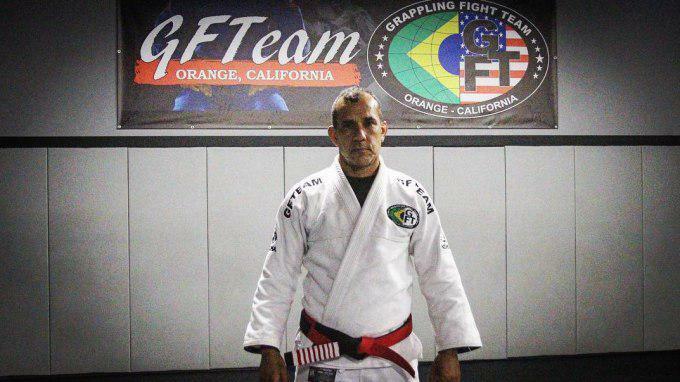 Powerhouse jiu-jitsu squad GF Team has begun an expansion into the prime territory of Southern California. Head coach Julio Cesar Pereira has relocated from Rio de Janeiro to Orange, California, to spearhead the development of a competition team that will comprise of both local talent and imported Brazilian athletes. The move is meant to stimulate the growth of the team and create an easy conduit for rising athletes from Brazil to become established in the U.S. Currently, there are few notable GF Team locations in the States, with the best competitors — Vitor Oliveira, Gutemberg Pereira, and Dante Leon — concentrated in Ohio. “It’s a challenge being in California, learning the language, culture — everything is new”, – Pereira said. “However, there is a chance to grow GF Team in America. I want to make champions from here, too”. Pereira, a seventh-degree red and black belt, coached five-time world champion Rodolfo Vieira among many others. GF Team athletes are generally known for their aggressive style and dynamic guard passing. Top names from the team include Ricardo Evangelista, Patrick Gaudio, Jaime Canuto, Igor Silva, Ana Carolina Vieira, Vinicius Marinho, Jake Mackenzie, Amanda Monteiro, Jorge Nakamura, Jose Carlos Lima, and more.